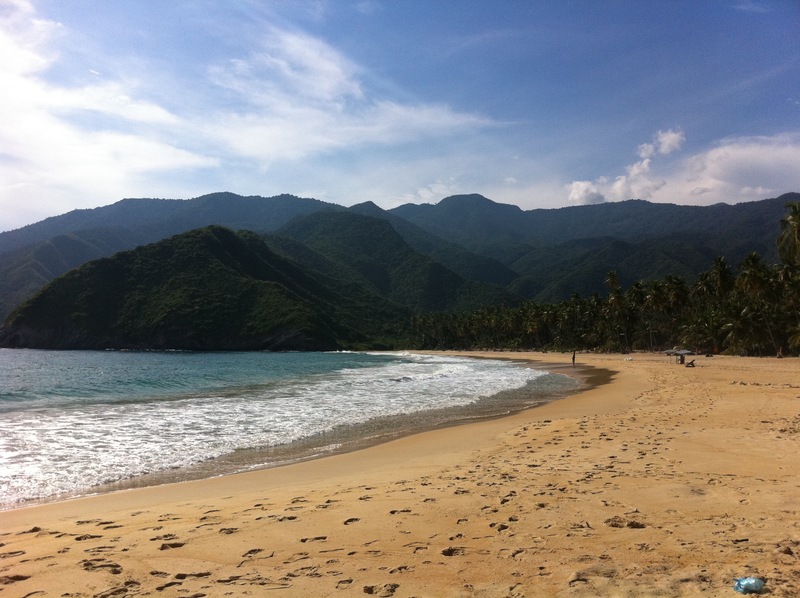 February marks the beginning of sea turtle nesting season on the Venezuelan coastline. For anyone who has witnessed sea turtle hatchlings find their way to the ocean, you know these little marine creatures are up to an enormous challenge. Not only do they have to conquer several meters of sand to get to the sea without any interference, once they are in the ocean, they are up against the risk of pollution, entanglement from fishing gear, and injury from boat propellers. Sea turtles may have been around since the time of the dinosaurs (110 million years!) but their population is in grave decline. It’s safe to say, sea turtles can use our help. Mission Blue’s Hope Spot champions in Venezuela are taking sea turtle protection to the next level. 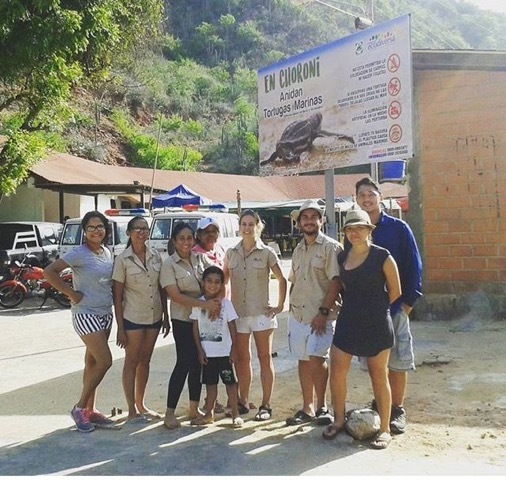 The Choroni and Chuao Hope Spot unites concerned locals and tourists including scientists, hotels and shops, a performing artist, the community council, NGO’s like Ecodiversa, and even Venezuelan law enforcement to ensure safe liberation of baby sea turtles. Given the negative impact of tourists in other areas of the world, like taking selfies with mama turtles trying to lay their eggs, tourism does not always equate to conservation. In the case of Choroni and Chuao, sharing the special experience of sea turtle hatchlings finding their ocean home is instilling appreciation and respect for these vulnerable animals. “When they see how threatened the small sea turtles are and how difficult it is for them to make it to the sea, I see the change in people,” says Marco Caputo, local Choroni resident and Marine Biologist. 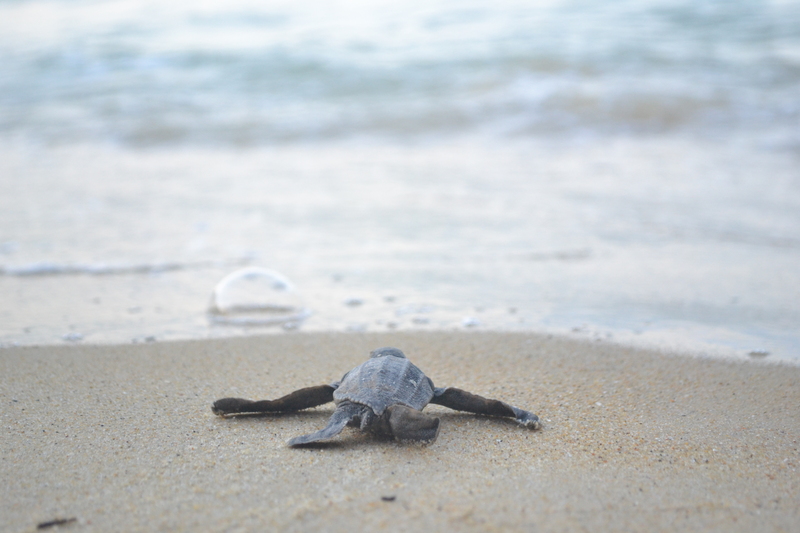 Check out this beautiful video of a Choroni baby sea turtle liberation, below! Choroni and Chuao stretches approximately 15 km along the glimmering turquoise coastline of the Caribbean Sea. Choroni is a popular tourist attraction with hotels, restaurants, artisan shops, and open air activities on the water front, while Chuao remains a secluded fishing village reachable by boat from Choroni. Historically, both regions are known for growing the finest cocoa in the world. The cloud forest mountain of Henri Pittier National Park makes a stunning back drop leading down into the beach area of Choroni, enticing tourists globally. Conservation is supported by the leadership of the Council of Fishermen (Consejo Pescadores Artesanales Unidos de Chuao) who have a framework in place to protect Elkhorn coral near an important fishing area. These efforts are remarkable since it was enacted by the local artisanal fishermen through their own concern and initiative. The Council has established specific, strategic goals ranging from education and outreach to protecting designated areas. The coastline is also known for popular nesting sites for the Leatherback, Loggerhead, and Hawksbill turtles. In addition to the inherent challenges all sea turtles face as they journey to the sea, Choroni and Chuao’s turtles are up against a number of additional stressors making their survival very difficult. For every hundred “trasmallos”, Venezuelan fishing nets similar to destructive bottom trawlers, there is one sea turtle a death. In response, both towns are turning to education and grassroots advocacy to protect their beaches. “Conservation encompasses keeping the memory of the past alive. In nearby regions petroglyphs have been found depicting sea turtles, which were obviously meaningful to the primordial inhabitants of that period. There are elders in our community who have tales of what it was like in their youth and this oral history is the memory which links our recent past with our present and future. Making our community aware of both our ancient and recent past is key to our conservation efforts for the present and future,” explains Marco. The influx of tourists dramatically increased in 1990, when an access road was paved from the inland city of Maracay to Choroni. Although this kickstarted Choroni’s status as a tourist destination, it also caused a decrease in turtle nesting habitat. Until recently, camping on the beach was allowed even though it was intrusive to turtle nesting sites. In 2010, a local veterinarian, Ernesto Pulgar, started talking about the importance of sea turtles and planted the seed for future conservation efforts. In 2014 the importance of community-based conservation efforts was ignited, resulting in better stewardship and more comprehensive enforcement measures. With support from key members of the community and visitors alike, great strides have been made in sea turtle conservation. For one, turtle nests are marked, protected, and monitored. There is also a generous focus on youth education – presentations are given in the local schools, as well as on the beaches themselves, stressing the importance of turtle and coral reef conservation. 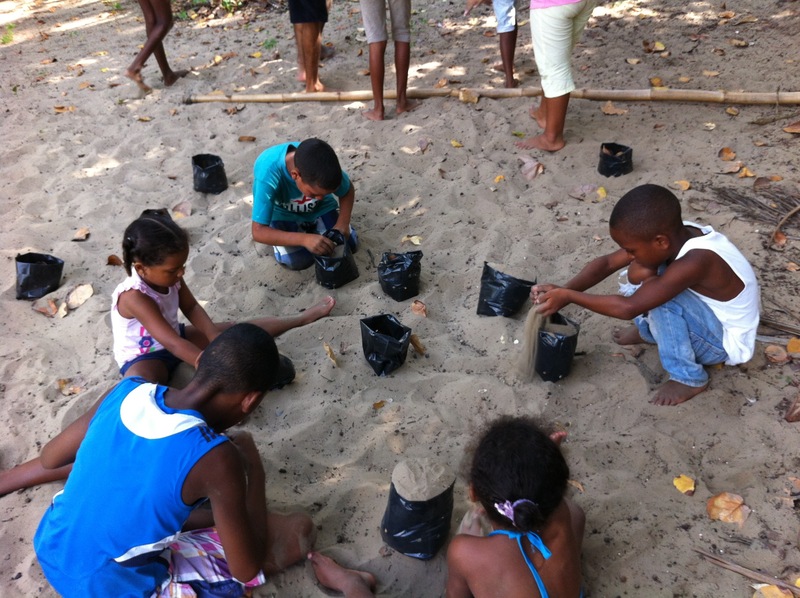 Youth programs provide an outlet for kids to be directly involved in planting palm and seagrape trees, which is a positive result of the turtle nesting project. In addition, local law enforcement officials have taken part in these educational programs resulting in their heightened awareness and participation. The upsurge of conservation-oriented projects is also encouraging an unique phenomenon in Choroni and Chuao’s political landscape. Members of the community with opposing political views are collaborating to make the sea turtle nesting project a reality. “We found we are creating hope for a politically polarized country in a deep social, economic crisis. We are using ocean conservation as a bridge to overcome political polarization and create a common purpose for a better future,” indicates Gregg Magrane, a passionate spokesperson of the Hope Spot. Gregg and Marco are hopeful the communal attitude demonstrated for sea turtles can carry over in unifying the people and solving other community problems as well. The Choroni and Chuao Hope Spot is an exceptional example of local communities uniting together by moving away from turtle destruction to turtle conservation. Monitoring sea turtle nests to protect them from poaching and emphasizing youth oriented programs to excite the next generation on sound conservation efforts are commendable ways to protect the species. Special thanks to Hope Spot champions Gregg Magrane, Marco Caputo, and Julio “Conejo” Moreno.